Synopsis: For all you gamers that prefer your gameplay on the Wii, XSEED has provided us with a review copy of Fragile Dreams, the latest adventure title featuring light RPG elements from the team behind Eternal Sonata, available to play now exclusively on the Nintendo Wii. 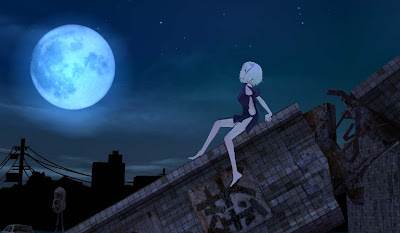 Players take on the role of Seto, the last human being alive in a post apocalyptic world that comes across a mysterious girl who disappears as quickly as she is encountered, you will then search for this mysterious girl, Ren, while also looking for others in the empty cities. While the character starts with a couple tools to get through the story, they will later be able to find and purchase other useful items and upgrade these tools to help seek out others while fighting off ghosts and demons haunting the numerous abandoned cities. 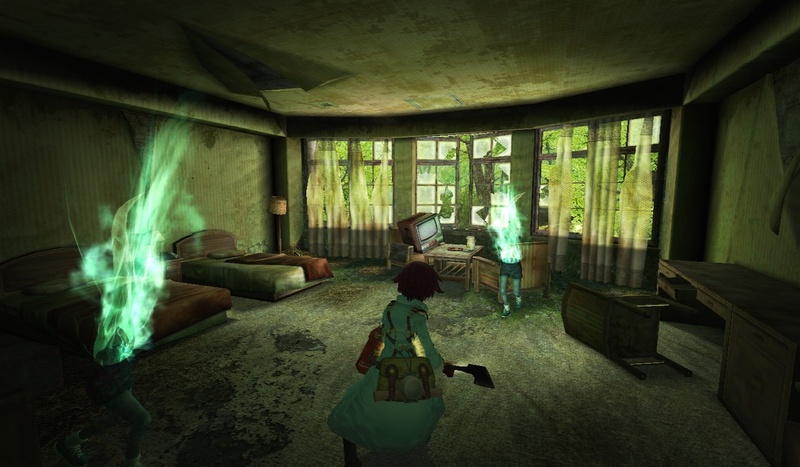 Get your flashlights ready to uncover the secret behind our review of Fragile Dreams. 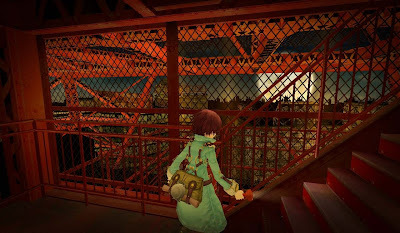 Praise: Yes, there is another Wii title where the main character uses a flashlight to uncover secrets in an abandoned world, while this does sound familiar to my review of Silent Hill: Shattered Memories, this is a very different and equally entertaining title. The controls are fairly simple, you control the main character with the remote and nunchuk, using your flashlight to find clues, and have a designated attack button to help with enemies encountered along the way. The upgrading, finding, and purchasing new tools help keep the action fresh while making your way through the story. Dark environments and storyline make this game truly stand out, providing a different experience from anything seen lately while the creative direction used make this a dark game that you want to play straight through and can easily do over a matter of a few days. 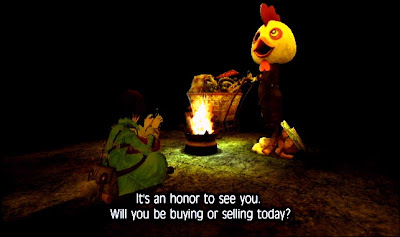 While this is very similar to some recent movies, it takes on its own persona while including a main character the player can easily relate to. I really cannot expand on the story aside from the description in the synopsis without giving away any spoilers, but this title focuses on death, without using the more violent pattern seen in similar games and movies, while still providing scary moments you will remember even after completion. The visuals have an anime feel which is a nice change from the grittier looking horror and suspense titles that Fragile Dreams can be compared to and the soundtrack sounds like something straight out of a JRPG game. Gripes: The story, environment, and main character draw you in from start to finish, but there are a few things that leave emptiness after completion. The games length is short, around ten hours from start to finish for me including completing a few of the optional side quests. Even though ten hours is typical with action games, it goes by really fast, with little replay value after completion. I did say that the story is spectacular, but I was left with a number of questions after completion, which in turn made me more curious as to whether the questions left were intentional or if the explanation was lost in the translation of the title. I know this comes up in a number of my reviews of Wii titles that use the remote to look around, but I have to bring it up again and I apologize in advance but it is hard to get the hang of looking around using the remote without going too far or too fast causing lots of over correction. 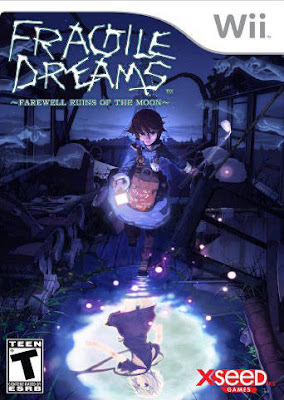 Overall, Fragile Dreams is worth a playthrough, and hard to put down after the first thirty minutes. With the story, environment, and overall creepiness, I was happy I got the opportunity to play through this, as I had heard nothing about this title before its release. Though it is a shorter title to complete and will not be getting a second playthrough, making it harder to justify the fifty dollar price tag, it was definitely worth the play through from start to finish. Mashbuttons.com gives Fragile Dreams an 8.5 out of 10. Fragile Dreams is available now for the Nintendo Wii.